Kingston's Lower Burial Ground was laid out in 1783 by John Ferguson under the direction of Major John Ross, Commandant of the Garrison at Cataraqui in anticipation of the arrival of Loyalists at Cataraqui after the American Revolution. Many early citizens of Kingston are buried here, beginning with Corporal Forbes of the King’s Royal Regiment of New York in 1783, and including prominent residents, black slaves brought by the Loyalists, and sailors of the Lakes. By about 1840 the cemetery was full and most burials were being made in the Upper Burial Ground, now McBurney Park. The Lower Burial Ground is located at the corner of Queen Street and Montreal Street adjacent to St. Paul’s Anglican Church. Click here for the map. The Lower Burial Ground Restoration Society (LBGRS) was formed in 2008 to develop and maintain an interest and understanding of the history and heritage of the Lower Burial Ground and to assist in the maintenance and conservation of the burial ground and its memorials. Since its formation, the Society has restored the stone wall along Montreal Street and a number of important monuments, developed an illustrated brochure and installed an interpretive panel to inform the public about the burial ground. The Society also had a conservation study prepared by a recognized consultant to guide its future work. The Society is always looking for volunteers to assist with the on-going work that needs to be done. Donations are always welcome. The LBGRS has placed as much material as it has about the Lower Burial Ground and those who are buried here. More is being added each year as research continues and others contribute their findings. We are hopeful that genealogists who are using the website and have information on those who are buried in the LBG will provide the information so that it can be included on the website. Remember that sources are as important as the information itself. If you have material that may be of interest to others and would like to see it included on this website, please email it to us. We can’t promise to include everything but we will do our best. 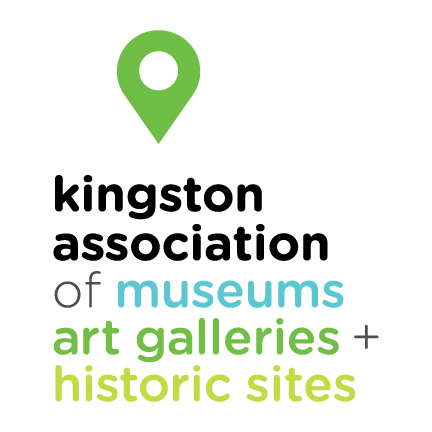 The Lower Burial Ground Restoration Society received funding from the City of Kingston Heritage Fund and support from the Kingston Association of Museums, Art Galleries and Historic Sites to develop this website. The Lower Burial Ground Restoration Society has also received generous support from the Community Foundation for Kingston and Area and from the United Way for Kingston, Frontenac Lennox and Addington.